Saturday Night Macon Speedway kicks off another round of nonstop racing action at the 1/5 mile bullring. 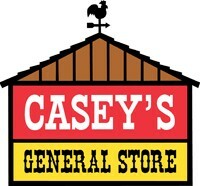 Casey’s General Stores will make Saturday May 30th a special night by offering race fans $2 off coupons at all area stores. Not only can you grab a discount coupon but you can also win free tickets by entering the drawing at each participating store. No purchase is necessary but while your there check out Casey’s fresh made subs and famous pizza. Also Casey’s will treat all Military who show ID at the gate ½ price admission and FREE admission if you show up in uniform. On top of that Casey’s General Stores will have their famous mascot Pepperoni Pete on hand for the kids, spin to win prize wheel for free product, door prizes and gas cards for our lucky fans at Macon Speedway. Racing on the dirt oval will include Pro Late Models, Billingsley Towing Modifieds, Street Stocks, Sportsman and Hornets. Pit gates open Saturday at 4:00pm, grandstands at 5:00pm, with racing at 7:00pm. Adult general admission is $12, while children eleven and under are free. Don’t forget Military with ID are half price or FREE in uniform and you can pick up a $2 off coupon at Casey’s General Stores.